Bring the feeling of the vineyard to your home with your with this Impressive, rustic barrel sign. 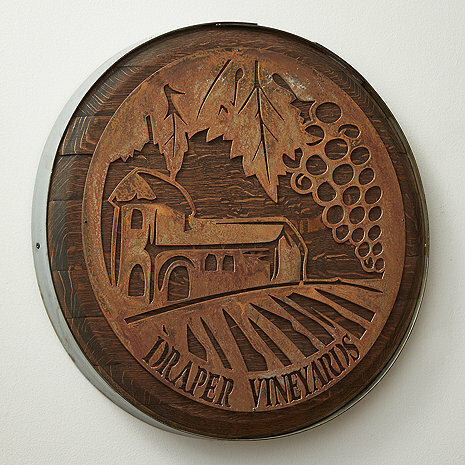 Handcrafted from an authentic Napa Valley wine barrel head with a hand cut recycled cut steel overlay, personalized with your family name. Makes a great gift.